What Does A Liberty Connection Failure Mean? Liberty utilizes MS SQL Server to store and retrieve your data — this is a good thing. MS SQL Server is its own, stand-alone program which Liberty communicates with. Just like you make a phone call to someone, Liberty makes a ‘call’ to MS SQL Server when it needs to put new stuff in to or get stuff out of the database. If it can’t get through to MS SQL Server — e.g. 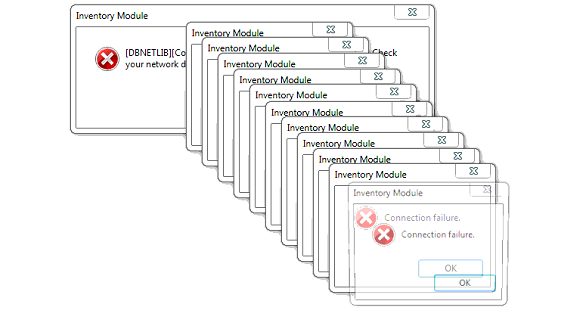 MS SQL Server isn’t running, your server computer is offline, your WiFi connection drops, you have both a wired + WiFi connection on your PC, etc. 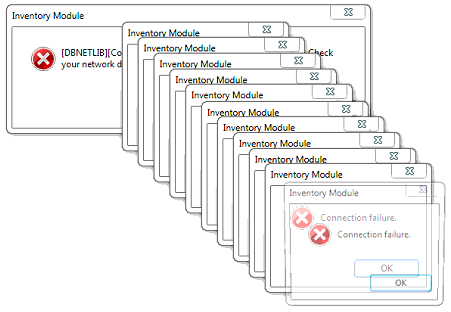 — it will pop-up a Connection Failure error. Why Do These Errors Pop-up Over and Over Again? In software, sometimes you want to *do stuff* every X seconds/minutes — e.g. every 15 minutes, check for new updates. 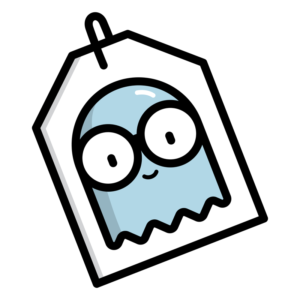 To do this, you can use a specific component available in most programming languages, called a Timer. 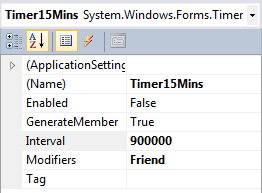 A Timer is a component you can add to your program and then set it to ‘tick’ on a regular interval. The default interval is typically 100ms, so to make it tick every second, you’d set it to 1,000 ms (one thousand milliseconds = one second). Great, now it’s ‘ticking’, but what is it actually going to do when it ticks? In Liberty’s case, it tries to connect to the database every second. When it can’t connect, it pops-up an error letting you it can’t connect, then it ticks again, then it pops-up, then it ticks again, and so on. That it knew it couldn’t connect to the database, means it properly handled (responded-to) the exception (unexpected event/situation) it encountered. When an exception is handled, the programmer has a choice of what to do. At the very least, it’s typically best to inform the user of the issue with a pop-up message. You can take this one step further though and add additional things to do when an exception is handled. One of those things, in this situation, would be to stop the Timer. This way, it doesn’t keep ticking over and over again, thus, preventing the non-stop pop-ups and providing you with a way to either ‘try again’ or close the program altogether. 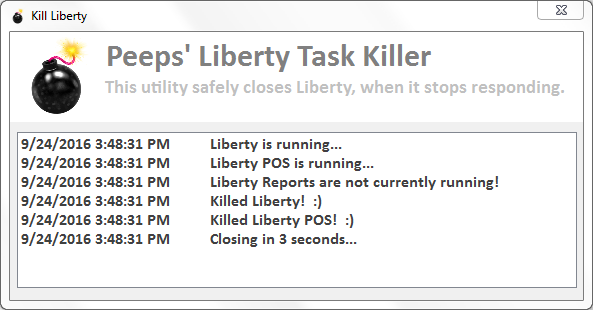 This is an old, old issue in Liberty and I shouldn’t have to point this out to the vendor in order to improve Liberty users’ experiences. My goal though, is to make my clients’ lives easier and this single issue, is one of the most common and difficult to handle issues for our clients. If The Computer Peeps have to be the ones to bring attention to issues and get them fixed, then so be it. This issue has been reported to the vendor on multiple occasions and there’s no way they’re not fully aware of this issue. Which raises the questions — Why has Liberty been allowed to do this for over a decade? Why hasn’t this been fixed? Why does it take The Computer Peeps to shed light on these issues? Why isn’t the support staff and developers @ RSW finding and fixing issues like this without prompting?